In my mid-20s a dental hygienist informed me my dentist’s office was now offering Invisalign and asked if I’d be interested in learning more. I politely declined, but inside felt slightly offended. My teeth weren’t noticeably crooked, were they? When I started working on camera, I began to see the imperfections a bit more. To me, those top teeth looked a little less cute and a lot more snaggle-like. Flash forward to last year when I discovered Smile Direct Club, a much less expensive alternative to the leading invisible braces company aforementioned. Instead of having to go to a dentist, you get your invisible aligners shipped directly to you. A big benefit is they are also shipped all at once so there’s no waiting for your next set of aligners to arrive. 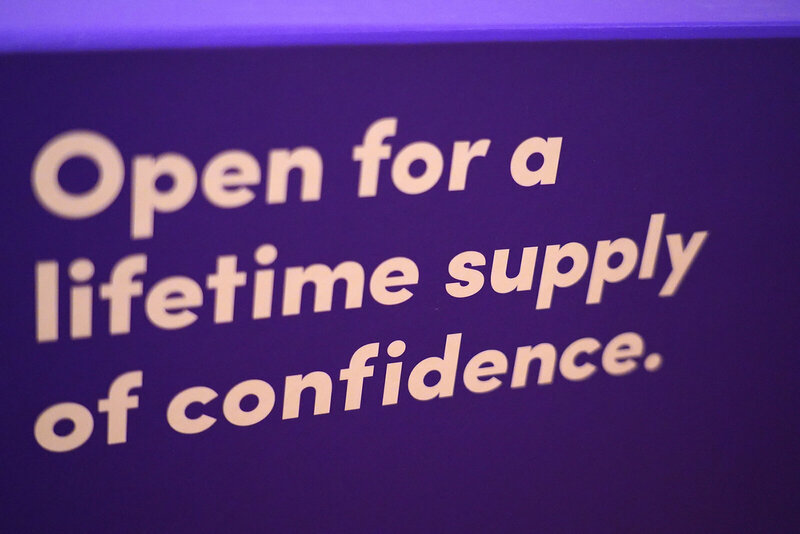 Smile Direct aligners also come at a fraction of the cost. And I mean a fraction. NOTE: I am receiving no payment or free products as a result of this blog post. This is my own honest review. The process starts with an impression of your teeth, which can be done either at home or digitally in a Smile Direct office. I opted for the digital scan because I thought it would be more accurate. Once your scan is analyzed, the company emails you an animation showcasing how your smile will progress over time as well as the length of time it will take to straighten your teeth (for me it’s a mere five months). That’s when you can decide whether to move forward with purchasing invisible aligners or not. Here are some side-by-side screenshots of my befores and projected afters., from both the front and side angles. My front two teeth look deceptively straight in the front facing “before” image because they are so close together. In reality, the left tooth extends outwards and is slightly overlapping the right tooth, which you can see a little better in the side shot. I was hemming and hawing over whether I should take the plunge. I wasn’t sure my teeth warranted spending $1,850 (the price if you pay in full). I initially went for the scan back in June, but it wasn’t until five months later on Black Friday that I ended up pulling the trigger, and here’s why: I got 50 percent off! That’s right. 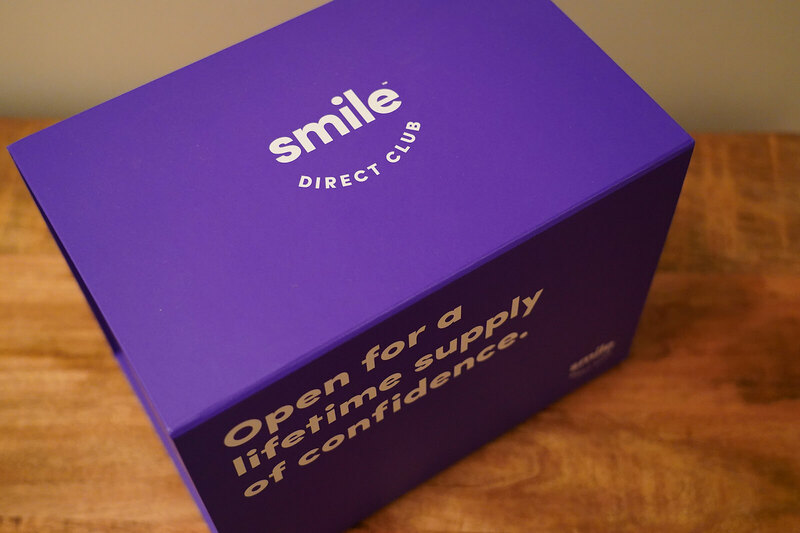 If there’s any advice I can give you if you’d like to try Smile Direct, it’s to wait a bit after you get your scans done in order to get a good deal. After my initial consultation, I periodically received email offers for anywhere between $200 and $500 off aligners, but this was the biggest offer I had received and I figured there was no getting better. So I ended up paying $925. Still a big chunk of change, but wowza on the savings. So I ended up paying $925. Still a big chunk of change, but wowza on the savings. As I mentioned earlier, my plan is going to take just five months, and to me, that’s a small sacrifice for a lifetime of straight teeth. Even better, these babies will be done before my actual baby arrives in early May. Once you complete your treatment plan, you are required to wear a retainer at night (which you can also order from Smile Direct for $99) to prevent your teeth from shifting. The box all your aligners and teeth whitener system arrive in. … and I mean really tough. They were horrendous actually. Maybe I am just being dramatic, but as I mentioned earlier, I never had braces so I really had no idea what to expect. Albeit invisible braces are probably nothing like metal braces (you can take them out to eat), I’m assuming they’re somewhat close. 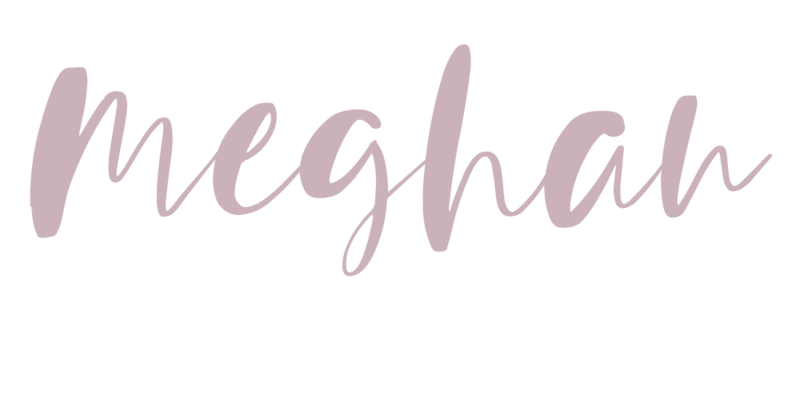 I felt utterly claustrophobic wearing the aligners and wondered whether I had made a huge mistake by ordering them, especially while expecting a baby. But there is a light at the end of a tunnel. While the first few days were hard, I’ve actually gotten used to wearing aligners. You have to wear them for at least 22 of the 24 hours in a day and to tell you the truth, I really don’t notice them as much anymore unless I stop to think about them. 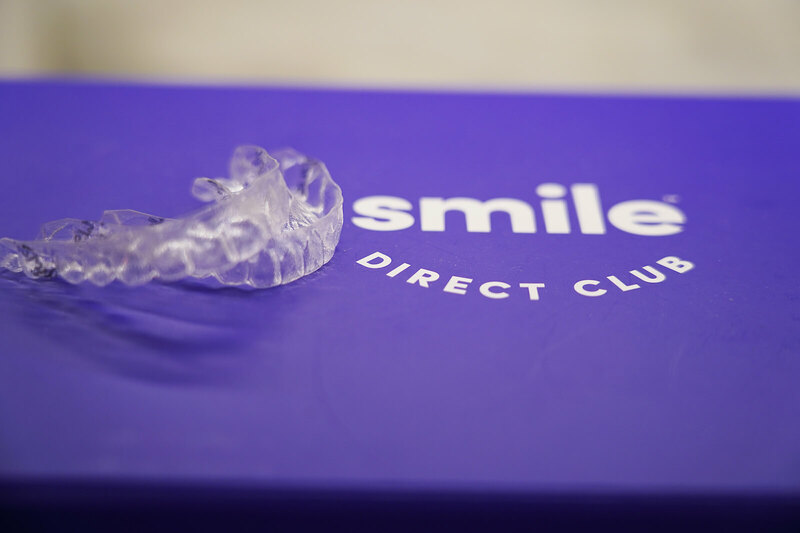 Smile Direct aligners come with the company’s bright on whitening system (a gel plus a blue light you put in your mouth), however, I haven’t used it because it’s not recommended for pregnant women. So while I can’t say my teeth are whiter, my oral hygiene is definitely at its peak. And let’s be clear: I always had good oral hygiene, but with invisible aligners, you are pretty much brushing your teeth all day, every day. Smile Direct recommends brushing and flossing your teeth after every time you eat, so everywhere I go, I carry around a little bag containing a toothbrush, toothpaste, floss, my aligner case and Smile Direct’s “outie” tool which helps remove the aligners. 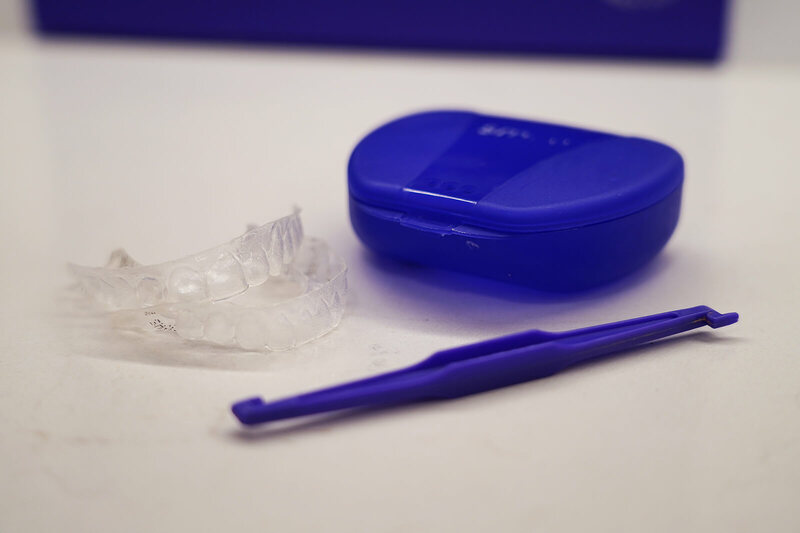 While cleaning your teeth is paramount, cleaning your aligners is an absolute must (and it’s really just gross if you don’t). If you don’t do so, it’s the equivalent putting on dirty, grimy clothes after taking a long, hot shower. Yuck. Every time I take my aligners out, I rinse them thoroughly in cold water (never warm or hot which can warp them). Also, every morning while I’m having breakfast, I soak my aligners in a mix of half white vinegar and half water (and sometimes if I’m feeling spunky I throw in a bit of baking soda so it foams). Other times, I’ve soaked my aligners in mouthwash and a bit of water (I use Tom’s Wicked Fresh! Natural Mouthwash, which is clear and less harsh than other brands). After soaking my aligners for about 15 minutes or so, I also brush them with a soft toothbrush and some water. Never use toothpaste when brushing aligners because it can scratch them, rendering them not-so-invisible anymore. I used to eat breakfast during my drive to work, but that’s not an option anymore since my commute is 45 minutes and I can’t afford to leave my aligners out that long. So now I prepare my breakfast (usually a smoothie) and drink/eat it before I leave. That way I can brush my teeth before I head out the door. As a multimedia journalist, I’m on the road a lot for my job, so if I have to stop for lunch, I make sure it’s at a place I feel comfortable going into the bathroom/taking out my aligners/brushing my teeth/putting them back in. But most of the time I pack my lunch and wait until I’m back at the news station so I can do all of the above. I never really snack too much, especially when I’m at work, but now I pretty much never snack. So if you are a snacker and considering Smile Direct, I’m pretty sure you’ll be less apt to mindlessly munch throughout the day, because it’s kind of a pain in the bum to keep taking your aligners out, brushing and flossing, etc. etc. Since I started Smile Direct a month and change ago, I’ve worn four pairs of aligners (#1 during week one, #2 during week two, #3 during weeks three and four and #4 during week five). The first, third and fourth set fit fine, but the second one gave me some issues. There appeared to be a defect in the manufacturing and a couple of the back molars had raised edges. Essentially, it felt like I was biting down on plastic bumps when I had them in. I called Smile Direct on a Monday evening and they told me I needed to send an email with images. I did that right away but it wasn’t until Thursday afternoon I finally heard back from them: They wanted me to start my third pair early. I figured since I had lasted as long as I did wearing the defective aligners, I might as well finish the week. I should mention, it’s recommended that you have an emory board on hand to file down edges if need be, but filing didn’t work for me in this case. I change out my aligners on Monday evenings because #1) I don’t want to feel any discomfort over the weekend and #2) I’d rather sleep through the tightness (i.e. when this pregnant mama isn’t experiencing insomnia). New aligners do feel a bit tight but I honestly haven’t found them to be totally uncomfortable … except for that first day. HAVE I NOTICED A CHANGE IN MY TEETH? Have you tried Smile Direct or invisible aligners? How did they work for you? Leave me a comment below! Have any questions? Leave those too and I’ll be happy to answer.